The dentists try to retract the gingiva before taking final impressions for crowns or veneers. All these years, I was taking gingival retraction chord for this purpose. Oh, no, I was not packing the chord. Level 2 dental assistants are not supposed to do that. To stop gingival bleeding, the chord is socked in a hemostatic solution like Hemodent first. Then the dentist use a retraction chord packer to place it around the tooth. I got a chance to see another material recently. The dentist use Expasyl system. It comes like an anesthetic cartridge, a gun and a tip. It is easy to assemble. The application is faster than packing the chord. The dentist will wash the material from the gingiva and dry the area before taking the final impression. There are other materials like magic Cord retraction paste. But, I haven't got a chance to use that. The simple trick for cutting a retraction chord to fit around tooth is to wrap around your little finger and cut it. Usually it will be perfect size. How that works??? No clue. But it works all the time. Brain Dead after Dental visit. The other day while surfing on the net, I slearned about the horrible tory of a girl became brain dead because of dental treatment. The girl was getting treatments done by a paediatric dentist. General dentists refer little patients, who are not co-operative to pedodontist. Some times, the kid need more care than the general dentist can offer. But, what went wrong in the dental office, that made the little girl brain dead? The article says the kid had breakfast before procedure. Was it known to the dentist? Does it made the complication? a lot of un answered questions. How on earth, the kid had so much decayed teeth to begin with? Wasn't the drinking water fluoridated in Edmonton? I am so sorry for the family. Hope, this sad fate will something positive in the end. Dycal is a cavity liner, which comes as a two paste system, base and accelerator. It is Calcium Hydroxide. It can also be used in pulp capping. It usually used when the dentist feels like the cavity is so deep and almost the nerve is almost exposed. The calcium hydroxide will help the tooth to heal. Here is a video of how to mix the dycal. The one above is single ended. The one below is double ended and you can see how it is different from a ball burnisher. It is a hard setting and has low solubility. 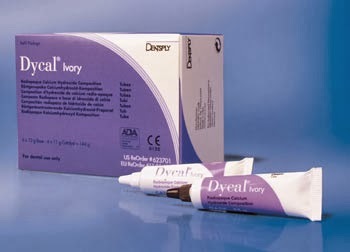 Dycal helps the restoration of pulp vitality and do not interfere with composite filling materials. If doing composite fillings, usually dentist put Dycal first, then do the etching, bonding and placing of composite. What do you think of this post in Toothtalkings? Any questions, please use the comment section. It is good to have dental cleaning done every six months. The dental professionals advice you. In reality, it is expensive, isn't it? Without a good paying job or having a job with benefits, regular dental dental visits are expensive to many of us. Then think about the need for getting cavities filled or the severe toothache leading to root canal treatment? That will sure put your budget upside down. If we can spend some time each day to take care of our teeth, we can avoid some of the expensive treatments. Brushing and flossing regularly is the first step to maintain healthy teeth. It is not that expensive. Just careful to brush gently. By, brushing gently, what I mean is your brush should look like new even after six months of using. Make a habit of flossing after dinner. If you are just starting to do flossing, little bit of bleeding from the gums are expected. But, if the bleeding is not reducing with the continuous use of flossing, it is an indication that the gums are infected and needs to be checked by a dentist. You might have heard of oil pulling from Dr.Oz show. I am sure the benefit of it. It is just another way you can try everyday to have healthy mouth. All health conscious people know carbonated soft drinks and high sure diet are not good for health. That goes to oral health too. How many people know that raisins are not healthy for tooth? Any food that stick to tooth is not good at all. So, after eating such sticky food, remember to brush it off or chew on sugar free gums, or chew a celery stick. Crunchy fruits and vegetables are called detergent foods. They can remove the food sticking to the tooth surfaces to avoid getting cavity. Drink more water instead of juices. Rinse mouth with water after each meal. I am not suggesting we can avoid dental visits completely by these tips. We can reduce the chances of getting cavities and gum disease by being careful. Usually, if you are getting the cleaning done at a hygiene clinic, it will be less expensive than getting it done in a dentist's office. What do you think of this article? Do you have any other dental tips? Please share your thoughts in the commet section. Ultrasonic cleaner : Only for medial and dental offices? You might have seen something like this in your dentist's office or the doctor's office. You might have even asked what is that and what is doing. The friendly dental assistant might have told you it is an ultrasonic cleaner for cleaning the instruments. What is it really doing? First of all, it can be used to clean more than dental instruments. It can be used to clean jewelry, lenses and optical parts. It has a chamber to hold the cleaning solution (specially designed for the ultrasonic cleaners) and a wire basket to hold the instruments. The ultrasonic cleaner uses ultrasound for cleaning. Actually, the sound waves produces millions of bubbles in the solution, which implode. This cavitation process helps to loosen the blood saliva and plaque from the instruments. It is done in a microscopic level, which is far better than hand scrubbing the instruments by hand. This cleaner helps to remove debris from the tiny crevices and pores of the instruments. Your dental assistants will wash the cleaned instruments and then sterilize them in autoclave or statim. Now, there are small ultrasonic cleaners available in the market to be used at home. You can have one to clean your precious gold and silver jewelry or eyeglasses or dentures at home. The iSonic one can be bought with less than $50. Then on Instructables I saw this homemade ultrasonic tank. Can it be used to remove that annoying dirty marks from the shirt collars too? What else you want your ultrasonic cleaner to do for you? Dental Curing Light: What is it for? When you go to dental office to get a filling done, you may have seen the assistant using a blue light on the filling. You might have asked what it's for and found out that the material is hardened by light. This is in fact a curing light. 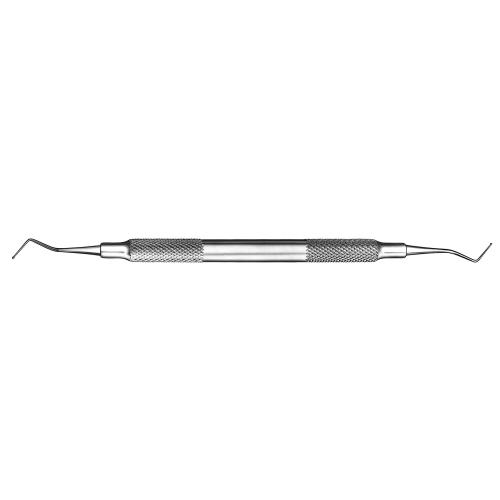 It is an equipment used in the dental office. The light has a visible spectrum of blue. Curing means polymerization or hardening of monomers in the resin based filling materials. (This is the composite filling or tooth-coloured filling). The dental curing light produces visible light and not UV light. Since the prolonged exposure to this blue light can burn the retina, the dental personals use a shield to protect their eyes. Light curing dental materials were introduced in the 1960s. The curing light was introduced in the 1970s. The first curing light used UV light to cure the material. During the 1980s chemists discovered visible light that can be used to cure resin materials. 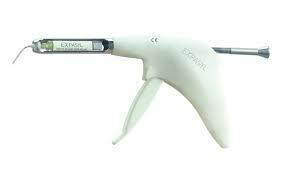 There are mainly two types of curing lights used by dentists: halogen curing light and LED curing light. Halogen curing light has a tungsten filament, which is inside a bulb filled with halogen gas. When the light turns on, current passes through tungsten filament and heats it up to produce UV light and visible light. There is a filter in the equipment to absorb all the UV light, and lights other than the blue spectrum. This unit produces a lot of heat, so a cooling fan is also added in the equipment. Some practices still use this. LED is widely used because it is lighter than the halogen. They are more cost effective and longer lasting compared to halogen curing lights. Being battery powered makes them portable as well. The heat generated is very less so no cooling fan is necessary. With the discovery of curing light, new light activated materials were introduced to dentistry. The new resin materials can be placed directly on the tooth without mixing different materials. It saves time in delivering treatment and the material is cured enough so the filling will be perfect. What do you think of curing light now? Have you ever thought about the use of chemistry in dentistry? If you have any questions about curing light, please reply below! We used to do only one blog post per week on ToothTalkings. When I found these articles on the web, thought the blog readers will be benefited from the information. 1. Green tea is good for oral health. Some teas can stain the teeth though. Will you be using a straw to avoid staining when drink tea? 2 Will we use 3D printing in Dentistry?. I saw 3D printer was used to create heart of the baby in "Grey's Anatomy". Will we be using a 3D printer to make a custom night guard or a crown in the future? 3. According to Forbes, Dental Assisting is a good job for young people. They said median annual earning is $33,000. I came across this forum on Indeed.com and many hate being dental assistant. What is your take on it? Is it a job with good pay? Oil pulling is putting one table spoon of oil in the mouth and swish it around for about 15 minutes. Just spit out and rinse your mouth. I never tried it. But thinking of doing as an experiment. 5. It is the flue season: Health and Safety policies for dental staff during the flue season. The article is for the dentists. But, it is nice to know what the policy must be. Do your work place has a health and safety policy?